The news blitz regarding the massive breach of secret State Department cables to the WikiLeaks website overlooks some important questions about its root causes: Where did the leaked data come from? What are the motivations behind the individual or individuals leaking the data? And, finally, is there any way to prevent sensitive government and company data from showing up on sites like WikiLeaks? 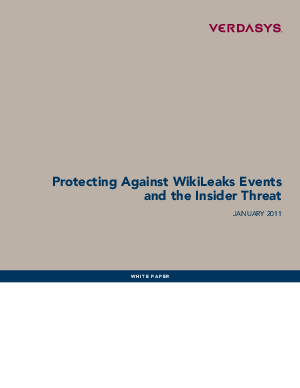 The information supplied to WikiLeaks, and to future "social justice" websites, comes from trusted insiders; privileged users within governments and companies from where the data is stolen. They are co-workers, often with the most critical responsibilities, who have been trusted with access to very sensitive information to accomplish their jobs.